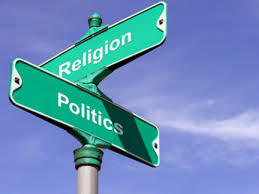 In his tremendously helpful Good and Bad Ways to Think About Religion and Politics (Eerdmans, 2010), Robert Benne lays out the two main ways to wrongly relate religion and politics – separationism, which calls for a strict removal of faith and religious values from the public square, and fusionism, which seeks to marry religion to politics in a way that has repeatedly proved toxic and destructive for religion itself. Benne then argues for “critical engagement,” whereby Christians critically participate in politics by seeking to move from the “core” insights of their faith (e.g. the fallenness of man, or the dignity of life in all its forms) to public policy, allowing for sincere disagreement on certain trickier issues. “The vast majority of separationism…is not driven by faulty theology. Most is a product of practical tendencies to separate religion from ordinary life – Sunday from Monday through Saturday. People don’t have to be sectarians or dualists in theory; they just think and act in ways that separate religion and ordinary life, including politics. One major reason for such dualism is that since the coming of modern times…each sector of life is increasingly divided from other sectors of life, each being purportedly guided by its own autonomous principles. So practical wisdom gives the verdict that ‘religion and politics don’t mix.’ Religion and science don’t mix. Religion and business don’t mix. Religion and art don’t mix. Religion and sport don’t mix. So Christians segment themselves according to the sector of life that they inhabit at the time. They are bifurcated or trifurcated Christians. “While there is some truth to this segmentation – there is a tentative autonomy to these various sectors – there is no final autonomy. From a Christian point of view all sectors are under the sovereignty of God, and he is active in them… There can be no areas that are free and clear from the presence and commands of God. Practical separationism is as bad as theoretical separationism. Both must be rejected by serious, classical Christians” (23-24). * Wilberforce was the 18th-century British politician who led the campaign to abolish the slave trade, and Eric Liddel was the Scottish runner and missionary who famously refused to participate in an event at the 1924 Olympics because it would have forced him to compromise his Christian convictions (the film Chariots of Fire was based on this).